Infallible Techie: How to perform SOQL query using workbench in Salesforce? 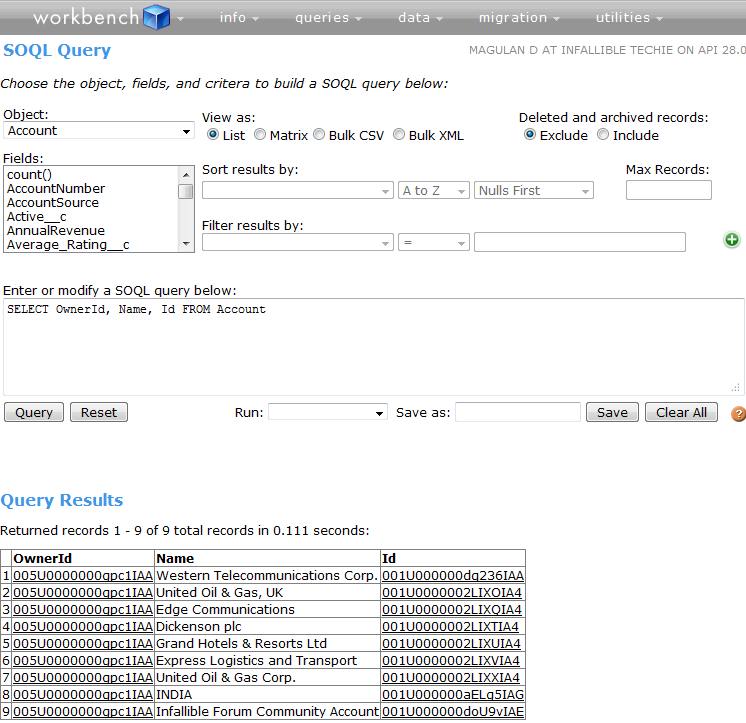 How to perform SOQL query using workbench in Salesforce? 2. Select SOQL in Jump To and select the object and click "Select" button. 3. Enter the query and click "Query" button.